Chief Assist. 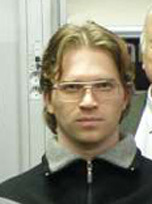 Georgi Petrov was born on 11 April 1980 in Sofia. He finished 18 William Gladstone secondary school, Sofia. In 2005 he graduated with a Master’s degree in Management of telecommunications at NBU, where he wrote his Doctoral thesis entitled Multidimensional digital processing of consecutive images. His major research and academic activities are at NBU, where he started work in 2003. As a student he took part in a variety of outsourcing projects. Between 2004 and 2007 he developed an innovative precise photo plethysmograph “Digital eArclip sensor” for the Stress-RX company, Chicago, USA. Between 2005 and 2008, together with experts from the Telecommunications department at NBU he was an independent consunt at the center for post graduate qualifications at the International Telecommunications Union (ITU Geneva), participating in the programs Technology trends, Spectrum management. In 2009 he became the director of the Master’s program “Telecommunications” at NBU. He is the author and co-author of over 60 articles in interdisciplinary aspects of ICT systems and technologies and of three textbooks from the series “Design of digital electronic devices with VHDL and Quartus II”. Since 2002 he has been involved professionally in the programming of applications for processing signals and images, and since 2008 in VHDL design. His professional interest is in contemporary broadband telecommunications systems, technologies and services.